This guide has been structured in the form of Frequently Asked Questions (FAQs) and answers for maximum clarity and understanding. These are answers to the top questions that we receive from a vast majority of Shippers shipping household goods & personal effects overseas. Answers to these questions have been compiled by our company experts who have been in the business for several years. We have tried to sequence the questions in the order of importance from a first time shipper’s standpoint. However, you should feel free to skip any questions that are not pertinent to you. If you have additional questions or need specific guidance pertaining to your shipment, please send an email to info@unirelo.com or call 1-877-323-7356 and we will clarify your doubts as soon as possible. 20) Can you tell me what are the insurance options available? We offer the following three insurance options for complete peace of mind and to suit varying budgets. The premium is highest for the first option and then reduces in the order listed. Please check with your Relocation Advisor or review your quote for current rates, deductibles and terms & conditions. This coverage protects your entire shipment and individual items against loss or damage to the extent declared in your valued inventory and subject to the terms & conditions of the insurance company. The most important terms to be aware of for this option is that items packed by owner are not covered. The insurance company requires that the items are professionally packed and unpacked by your moving company (us) or our authorized agents. This is a standard requirement across the industry when you purchase full replacement insurance. Named Perils coverage insures you against certain named risks (perils) such as theft, burglary and specific accidents that may happen after loading until arrival. Coverage for packed by owner items is included and in this coverage. 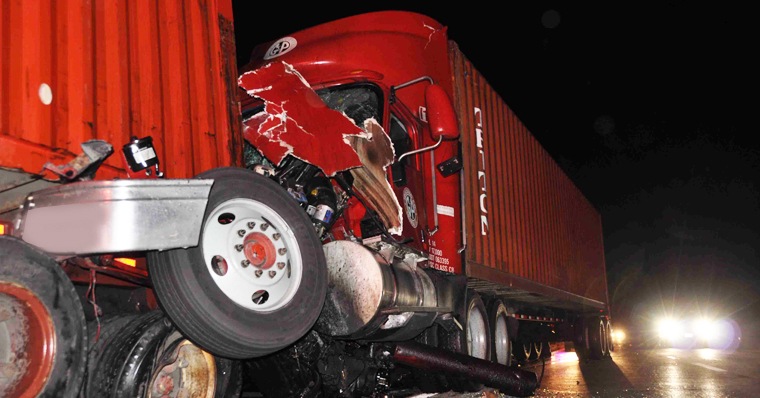 This coverage insures your shipment against total loss against certain incidents that are catastrophic in nature. It does not cover individual packages for loss or damage. 19) Can things go wrong? Can my items get lost or damaged? 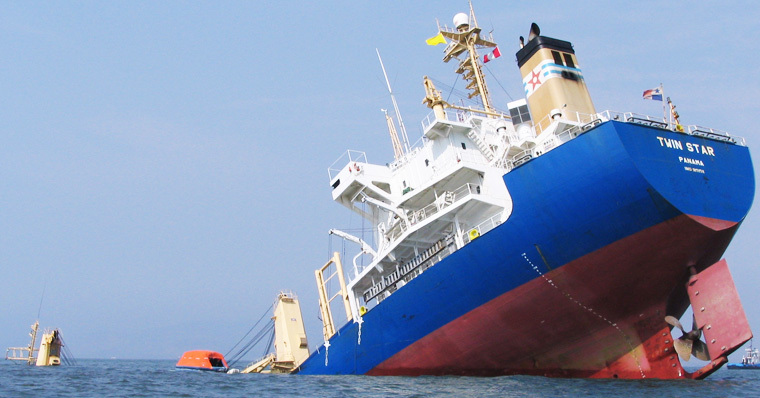 What is my shipping’s company liability? What if I want additional protection, i.e, can I buy insurance for extended protection? Yes things can go wrong although more of an exception that a rule. Due to the nature of shipping, handling of your shipment on multiple occasions by various parties during packing, loading, terminal handling, customs checks, unoading and unpacking. Our liability for loss or damage is only $0.60 per pound package (standard in moving industry) and when your items are in our physical possession as we have no control over your shipment at other times (ocean transit, customs checks, etc). We offer extended protection by way of insurance. Check with your Relocation Advisor for insurance options. 18) I am packing some or all of my items. How do I mark my boxes and packages? A running sequence of the package #. For eg: if you 50 boxes then you start with 1/50 and end at 50/50. Description of items in each box or package. Please be specific and clear and call out all dutiable items, especially electronics. You may use labels if you wish in addition to permanent markers. Labels sometimes tend to come off so we recommend writing directly on the box or package with a permanent marker. 17) I am packing some or all of my items. Are there any household items that I am not allowed to ship? 16) What are pallets? What does palletization mean? What is a liftvan? 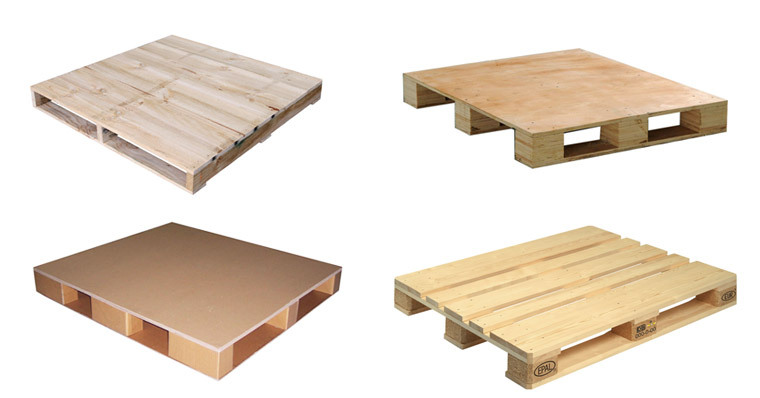 Pallets are wooden skids that provide a strong foundation for stacking boxes of personal effects on to them. The normal size is 3′ x 4′ and when boxes are stacked can hold on average up to 60 CFT. However if the boxes are perfectly symmetrical, it makes it easy to stack and can increase the volume up to 90-100 CFT. 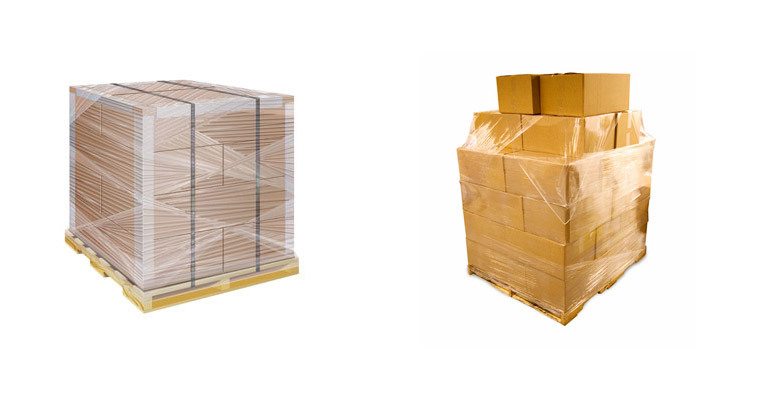 Palletization is the process of stacking your boxes on pallets, shrink wrapping them and fastening them with bands. This helps keep your boxes together and provides additional protection to your shipment. It also makes it possible to load the pallets on a container using forklifts in the warehouse. 15) I am shipping via LCL. Why can’t my LCL shipment be loaded on a ‘ or 0’ container right at my residence? What happens to my shipment after it is loaded on the shipping company’s truck? LCL shipments are by definition Less than Container Load cargo and is a term used to refer to smaller size shipments that are not large enough to use a Full Container Load (FCL). 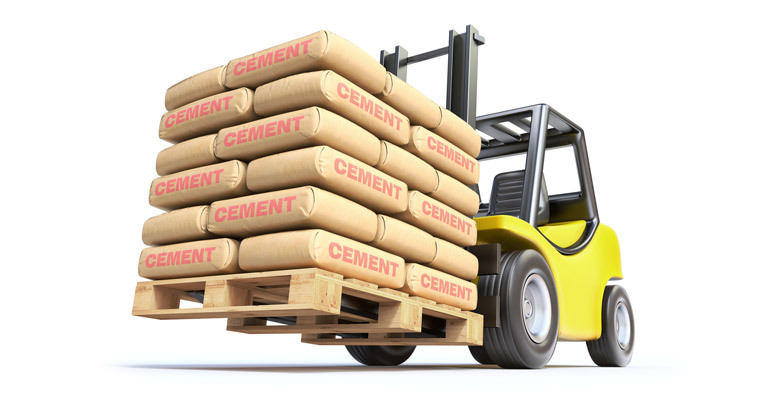 Your LCL shipment is trucked to one of our purpose built warehouses or to a warehouse or our agent’s warehouse (if we don’t have a warehouse close to your city) where it is palletized / stacked in lift vans and loaded along with other LCL shipments on to a container using forklifts. 14) What makes bolt seals so secure? Designed to achieve highest possible security, thereby eliminating chance of pilferage and tampering without detection. Requires 24″ Bolt Cutter for removal of seal. The plastic coating will bear fracture/abrasion marks if even a slight attempt to tamper is made. Serial numbers on both body and bolt. The serial # is required to be documented in your manifest / Bill of Lading by customs. Made of hard carbon steel with a zinc chrome plating and thereafter covered with shockproof plastic coating to withstand all types of weather conditions and protects against corrosion. 13) How do I ensure the container will not be opened until it arrives at the destination port? We always ensure that your container is secured with a high security Bolt Seal. 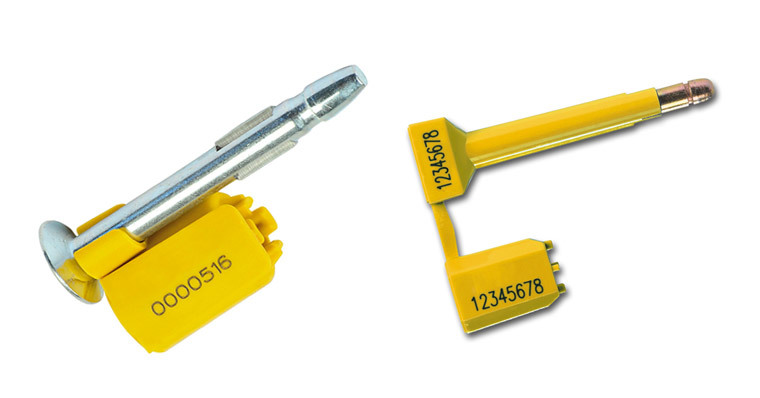 Bolt Seals provide a high level of security as they are tamper resistant and theft resistant and are one of the two types of container seals required by Indian Customs (since October 2005). The other seal is a bottle seal. 12) Once the container leaves my house will it be opened before it reaches the destination port? 12) I may want to have the container loaded on my own. Is it possible to have the container parked outside my home overnight? Do I need to worry about parking or obtain parking permits? Yes it is possible to have the container dropped-off overnight or even for a few days at your residence. This is called ‘drop and pick’ and usually costs extra but can sometimes be a convenient option if you live near a major port or if loading is expected to take several hours or more than a day. The charges for additional loading time in a ‘live load’ can be offset by having the container dropped-off and picked up on a later date thus eliminating any time pressure. The container arrives in a flat bed truck mounted on a chassis. 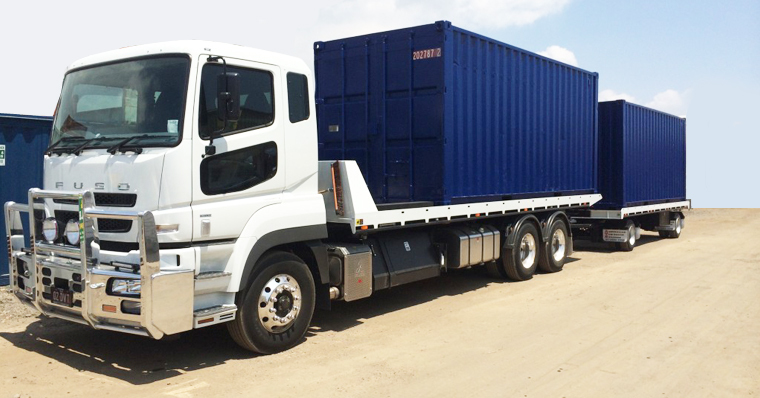 The trucker detaches the chassis with the container from the truck, drives the truck away and returns to pick up the loaded container a day or two later. You should check with your City if a parking permit is required to have the container parked overnight. Most cities do require a parking permit. After the container is loaded, we will need for you to send the completed and signed household goods descriptive inventory, serial # in the bolt seal and the container #. 11) For how long will the container be parked outside my home if my shipping company is loading the container? What does ‘live load’ mean? You can request a ‘live load’ wherein the container can be scheduled to arrive at your address approximately the time when packing will be complete thus minimizing the container waiting time. 20’ foot containers usually take anywhere between 2 – 4 hours to load depending on the volume being shipped. 40’ foot containers usually take anywhere between 4 – 8 hours to load depending on the volume being shipped. Note: Containers are hauled to your address by licensed trucking companies that have special permits to enter the port/terminal. The trucking companies offer 2 hours free loading (waiting) time for live loads. A $75 per hour waiting charge usually applies beyond 2 hours. 10) If I ship via FCL will the container come to my house? In most cases the container can arrive in a flat bed truck and can park right outside your house. In the rare occasion where container trucks cannot be parked due to poor accessibility or parking restrictions, your shipment can be loaded into a regular moving truck and shuttled to a warehouse or nearest loading area where parking is possible at an additional cost. 9) I may want to ship via FCL. Can you give me an idea of what size containers are available? 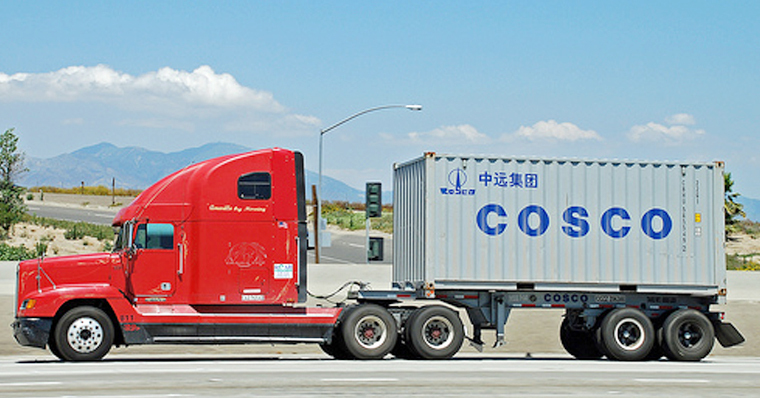 The most common container options for personal effects are 20′, 40′ and 40′ Hi Cube. To give you an idea of how big a 20’ container is, it can hold 25 average size American refrigerators. 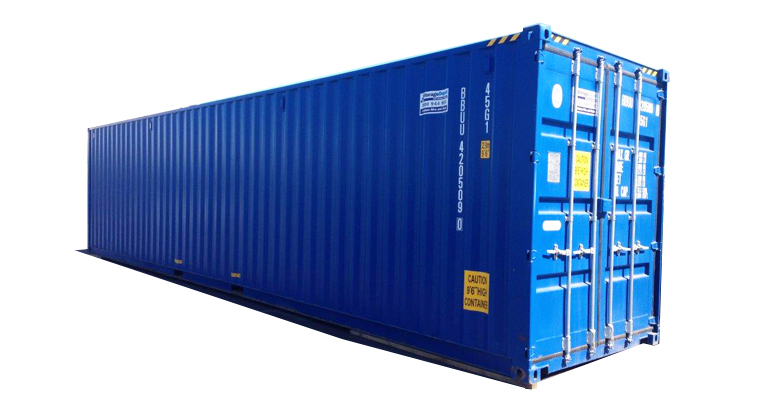 A 20’ container can typically hold all items in a medium sized (2 bed room) apartment or house. That includes the typical amount of boxes used to hold all the various personal effects belonging to two adults and perhaps a child: a lot of books, clothes, dishes, pictures, pillows, rugs extra “stuff” already stored in cartons, and so on… let’s say, regarding all those miscellaneous cartons of personal effects, this could be / may be / might be… quite “liberally” estimated … to take up around 300-cubic feet. Since a standard 20-ft ocean container can hold over 1,050 – cubic feet of volume, this would mean there would still be a lot of room left over for furniture. Let’s say you want to include a “fair amount” of furniture: a living room set (approximately 300-cft), dining room set (150-cft), a bed room set (200-cft), misc. stored goods (100-cft). This equals approx. 750-cubic feet. Combine about 750-cft of furniture with 300-cft of personal effects and this gives you a fully loaded 20-foot container. Practically though the usual maximum loading volume is around 28 cbm, depending on the size of the cartons you are sticking in it. You can hardly ever pack it right to the edge and the top. 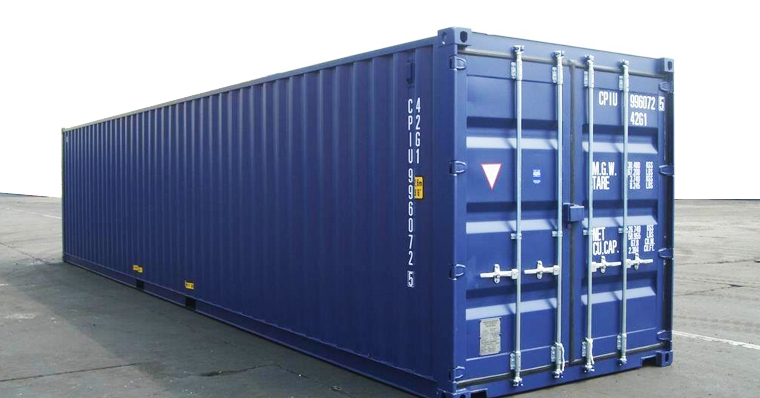 A 40’ container can hold larger (3-4) bedroom household items. In addition to the above you can ship a second pair of couches, bed room set, large appliances, barbecue grill and an additional 50 – 75 boxes. 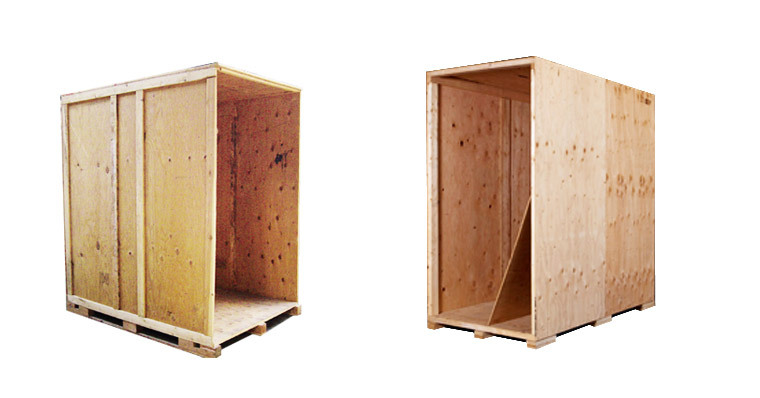 The length and width of a 40’ Hi Cube container are similar to a 40’ Standard but you get an extra 1 feet in height. This translates to an additional 8 CBM of loading volume. 8) What can I do to avoid ‘cube shock’? How do I estimate my volume? I want to ship boxes and big items and I am not sure if I know how to accurately the estimate my volume? Know how to calculate volume in cubic feet and cubic meters. 1 cubic foot is 1728 cubic inches. Volume in CFT is calculated using the formula L x W x H / 1728. 1 cubic meter is 35.315 cubic feet. Tip: One quick and easy way to measure volume if you are only shipping boxes is stack the boxes on top of each other in generally square shape in a corner of your room and take the total outside measurements. Let us know if you would like for us to do a pre-move survey. We do pre-move surveys in most locations for FCL shipments and in some locations even for LCL shipments larger than 200 CFT. Anteroom: side table 5cft, umbrella stand 4 cft, small mirrors – pictures @ 1cft each, coat rack 7cft, side chair 7 cft, arm chair 12 cft, round wood table 15cft, table lamp 5cft, small lamp 2cft, standing lamp 6fct, misc papers – packed into book cartons @ 2cft each, decor – packed into dishpack carton 6cft. Kitchen: med. table 15cft, 4 med. chairs 20cft, pail 5cft, average dishes into 2 dishpacks 12cft, ave. pots/pans- misc sm. appliances into 3 linen cartons 12cft, stools 5cft, misc food/spices into 4-5 book cartons 10cft. Master Bedroom: king size bed 70cft, queen bed -all parts 60cft, full bed 50cft, twin beds 25cft, 2 night tables 20cft, med. bureau 20cft, larger bureau 35cft, large armoire 60cft, med footlocker 10cft, ave clothes – one adult packed into 6 linen cartons 24cft, two wardrobe cartons 20cft, 3 bookcartons misc 6cft. Childrens Bedroom(s): crib 20cft, changer 15cft, plastic stools – toys – stacking units ave 20cft, pampers & infant supplies ave 30cft. Basement / Garage / Backyard: exersize machine disassembled 20cft, adult bicycle 10cft, childrens bikes 5cft, bar unit 45cft, stools 7cft, outdoor grill 20cft, ski set 10cft, tennis 5cft, golf set 10ft, mower 15cft, garden hoes – brooms etc 10cft, medium ladder 10cft, large steamer trunk 20cft, medium footlocker 12cft, tool chest 10cft, outdoor furniture – picnic table 30cft, wooden benches 8cft. Major appliances & electronics: med refrigerator 40cft, large double fridge 60cft, clothes & dish washer 25cft each, clothes- drier 25cft, small tv 4cft, med tv 7 cft, larger tv 15cft, vcr 3cft, personal computer setup 15cft, kitchen cookers etc 5cft, fax – printer 4cft, phone gadgets 2cft, med stereo cabinet 15cft, mini satellite disk 10cft, home base outdoor satellite dish 60cft. Just for context, adding the volume of all these sample items comes to 2,140-cubic feet. One completely full 40-foot container-load. 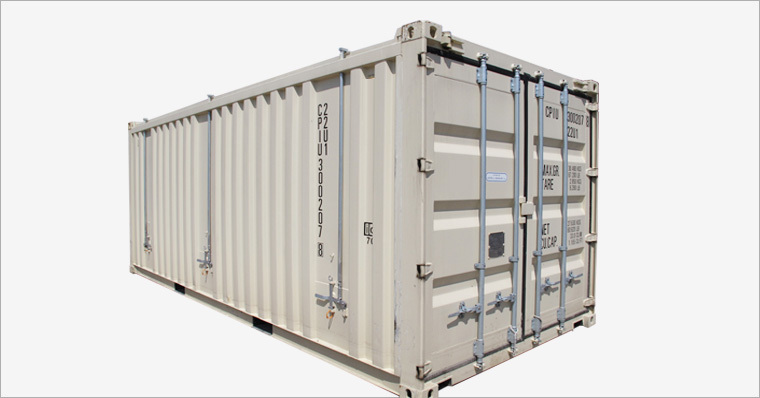 Besides standard 20-ft and 40-ft ocean containers, there are also what are called high-cube 40-ft containers which are 9-feet tall, and can accommodate approx. 2350-cubic feet volume of household goods. LCL shippers, please note that big items such as mattresses of furniture cannot be stacked on pallets. They may require liftvans which can be a little more expensive due to the extra volume they take up on account of their outside dimensions, wooden crating and special handling requirements. We recommend that you be deliberative in what you plan to take with you; travel light if necessary. Separate the “superfluous items” from those to be definitely shipped. Consider: is it really necessary? Remember: We cannot guess at what you plan to ship. We need for you to give us the information. Hopefully correct information. 7) What is net volume and gross volume? What is the difference between the two? Net volume and Gross volume are pertinent for LCL shipments. Net volume is the estimated volume of your personal effects before palletizing or loading into liftvans (wooden crates). Gross volume is the post palletization or post crating volume of your shipment. LCL shipments are always charged based on gross volume. You should expect palletizing to add 10-15% and liftvans to add 15-20% to your net volume. 6) I want to ship by ocean but I am not sure if I will need a full container. Can you let me know what is the capacity/size for FCL vs. LCL and associated cost differences? Determining what and how much you want to ship can sometimes be a difficult process. Cost is the primary determinant for a majority of shippers. LCL shipments are meant for smaller size cargo. Your LCL shipment will share container space with other LCL shipments and therefore, the cost to you is less than what you would pay for a full container. Let’s say you want to ship only a few boxes, maybe a large LCD TV and perhaps just your couches. It would make economical sense to ship as LCL in that case. We also recommend that you go over the subsequent questions pertaining to container sizes and volume estimation to arrive at a decision. Remember that whether you ship via FCL or LCL, estimating the volume you want to ship is the key to avoiding ‘cube shock’. ‘ube shock’ is referred to as surprises/shock received on seeing the final gross volume. This could mean charges due to additional volume in addition to what was planned/budgeted in case of LCL or it could mean inability to fit your items in the container during loading and having to throw/give them away. Either way it is not a situation you want to be in and can be avoided with proper planning and having realistic expectations. 5) Why do airline carriers use chargeable weight and not actual weight? Chargeable weight is the actual weight of each item placed on a scale, or the volume weight, whichever is greater. Picture a piece of styrofoam, 3 ft by 3 ft by 3 ft. A child can pick it up, and it will weigh perhaps less than five lbs., right? But, when sending via AIRFREIGHT, the international volume weight comes to over 280-lbs. Volume displacement is a big factor in international air-shipping. 4) How is chargeable weight calculated for air shipments? Remember that 166 and 6,000 are the constant factors when calculating the vw in lbs. and kgs., respectively. 3) How is volume calculated for ocean shipments? What is the unit of measure? When shipping by ocean, the most common units of measure are Cubic Feet (Cu Ft or CFT) and Cubic Meter (CBM). Calculating volume is relatively simple. 1 cubic foot is 1728 cubic inches. Volume in CFT is calculated using the formula L x W x H / 1728. 2) What are the key differences in shipping by air vs. sea? You have two options. You may either ship by air or by ocean. The key differences between the two options are transit time and how freight charges are calculated. 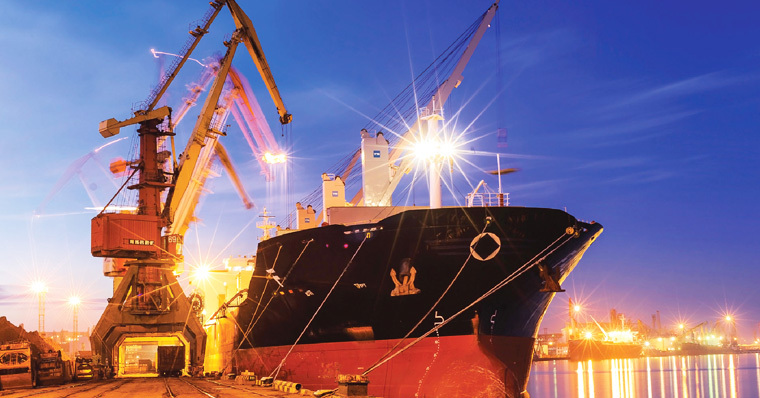 Ocean shipments can take between 30 – 45 days for FCL shipments and 45 – 60 days door-to-door depending on your origin/destination, ocean transit times, amount of inland transportation required, consolidation, de-consolidation etc. Air shipments on the other hand typically take under a week door-2-door after accounting for flight schedules, road transportation and customs clearance. Ocean freight charges are primarily based on origin/destination ports and the container size if shipping a Full Container Load (FCL) and based on cargo volume if shipping Less than a Container Load (LCL). 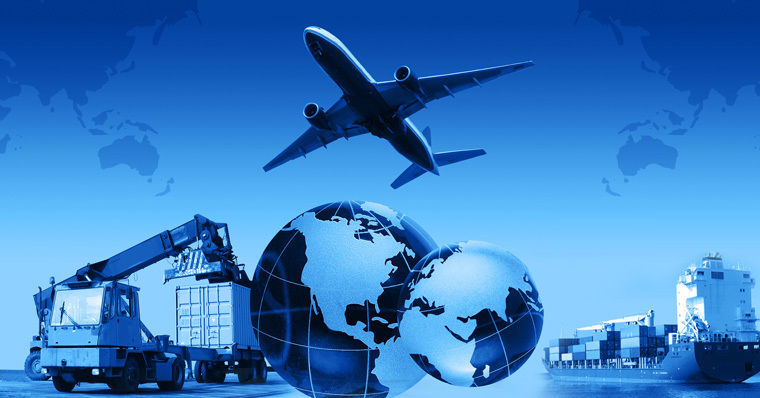 Items sent by airfreight are charged a specific price per pound (lb.) or per kilogram (kg.) depending on which airport these are destined to. It is therefore important that you are cognizant of chargeable weight (explained below) of the cargo if you intend to ship by air. 1) I would like to do an international shipment. What are my options? 26) I am purchasing insurance. Do I receive an insurance Certificate and Terms & Conditions? This is your contract with the insurance company. You should ask your shipping company for a copy of the terms & conditions and read them before purchasing insurance. 25) What is the valued inventory? The valued inventory is pertinent when purchasing all risk or full replacement insurance. The insurance underwrite requires that you declare all items over $500 in the valued inventory prior to processing the insurance policy. 24) Is my passport required? If yes when and why? 23) What is the Bill of Lading? When can I expect to get it from my shipping company? The Bill of Lading is a document that establishes the terms of a contract between a shipper and the carrier. It serves as a document of title, a contract of carriage and a receipt for goods. The Bill of Lading is normally issued within a week to 10 days after sailing of your shipment. 22) What is the Household Goods Descriptive Inventory? The Household Goods Descriptive Inventory (referred to as inventory or packing list) is one of the most important documents in your shipment. It is the official record of the items and quantities of items being shipped by you. It is required for customs clearance and insurance claims if any. 21) Do I need to sign a contract with you if I choose to ship with you? Yes. The contract clearly states the rates being offered, inclusions, exclusions, and terms & conditions of service. 29) Who is responsible if something goes wrong with my shipment, my shipping company or their agents? We are liable to the extent specified in our contract’s terms and conditions. We recommended that you purchase extended protection by way of insurance for complete peace of mind. 28) What should I expect from the local agent? There could be differences in time zone, local laws and service levels, do I need to be prepared / plan for any roadblocks or delays due to the involvement of additional parties? Involvement of agents does not cause delays, on the contrary it expedites processing / clearance / delivery of your shipment as agents are experts in local laws and demographics. Schedule dates for pickup/clearance/delivery after consulting with you. You should look at your local agent as a natural extension of us and co-operate/work with them just as you would with us. For any issues or questions you should feel free to contact your Relocation Advisor. 27) Why are there so many agents / parties involved in shipping my cargo? Origin Services: Packing, loading, palletizing/crating (LCL only) and storage (if required). Destination Services: Customs clearance, storage (if required), trucking your container or shipment to your door, unpacking, and removal of debris. Based on the above, depending on where you are moving from and to the following minimum services are required to ship your items from door-to-door. As you can see, it is not possible for any shipping company to have own/physical presence in all cities / countries of the world to provide these services. There are a few companies that have presence in the major cities/countries of the world but at the end of the day even they need to depend on carriers (steamship lines) for sourcing containers to transport your cargo. Agents play a key role in getting packing/transporting/clearing your shipment due to their local presence and expertise in local laws and demographics. We use only the very best agents in the world. Our memberships with the Household Goods Freight Forwarders Association of America (HHGFAA), British Association of Removers (BAR), Canadian Association of Movers (CAM) automatically give us access to quality accredited freight forwarders and clearing agents all working diligently to our shipments delivered on time, every time. 41) What is required of me? Anyone planning a visit to a foreign country is personally responsible to honor the laws of the country to which he/she is a guest. It is advisable to contact the Consulate or Embassy of your destination country for official information. Secondarily, Customer Service can provide general guidelines regarding entry requirements. 40) When do I pay you? All international shipments of household goods/personal effects must be prepaid (prior to shipping) by cash, check, money order or by credit card. Cost estimates can be made prior to shipping and the flexibility applies for corporate who issue purchase orders, but the actual cost can not be determined until the weights and dimensions are confirmed. Upon confirmation of the weights and dimensions, you will be notified of the final price and asked to submit your payment before the shipment is released for shipping overseas or delivery. 39) Should I buy insurance coverage? Replacement value, all risk insurance is available with various deductibles. It is wise to insure a shipment for the cost to replace it in the country of destination. Additionally, it is possible to insure for the cost of re-shipping a lost or damaged item. A Customer Service representative at Universal Relocations will assist you with more details of insuring your shipment. 38) Are there Duties and Taxes to pay, and how much will they be? Many countries allow used household goods and personal effects to enter without duties or taxes. Others are less lenient. Our operations Department will provide general guidelines regarding duties and taxes. Official information can be obtained by contacting the embassy or consulate of the destination country. 37) What do I need to know about Customs? Customs officials exist to protect the laws and rules of their country and to collect duties and taxes in connection with their laws. Anyone planning a visit to a foreign country is personally responsible to honor the laws of the country to which he/she is a guest. Official information can be obtained by contacting the Consulate or Embassy of the destination country. We will give you thorough guidance based on our practical experience gained from our daily involvement. 36) Is my shipment safe? Due to innovations and advancements in the transportation industry, shipping internationally is nearly as safe as shipping domestic. 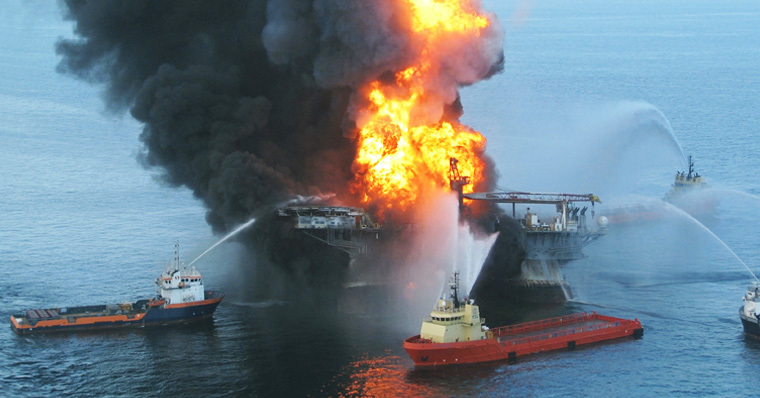 There are some additional hazards to which an international shipment can be exposed, starting with the ocean. Some countries are known for heat and humidity and some have security concerns. Our 10 years of experience has taught us practical lessons on how to deal with each of these, thus reducing them to procedures as common as shipping locally. 35) How long does it take for our shipment to get to its destination? There are as many answers as there are destinations, but generally surface shipments from end of the globe to the other can arrive in 4-6 weeks. Air shipments can be cleared and delivered to your door in ten days or less. There are various levels of service, allowing for faster or slower transit times. Even though “Mother Nature” often has a dramatic affect on schedules, we are flexible and work very closely with our customers to provide the schedules that fit their requirements. 34) How much does it cost to move overseas? The Price is based mainly on the volume and weight of your shipment. Our invoice will be based on actual costs of packing, loading, shipping, clearing and delivering your shipment. There are ways to determine an estimated cost in advance. On small shipments we can determine estimated cost by analyzing your list of items to be packed and shipped. The more details you can supply, the more precise we can be with our estimate. On larger shipments we will perform a free pre-move survey of your shipment to determine your shipping requirements and the size of your shipment. We also provide flexible pricing and shipping options based your budget and timing requirements. 33) How is my shipment packed and how does it get there? Your personal effects are carefully wrapped and packed into specially designed cartons. Each piece of furniture is wrapped in protective materials as though it were a large Christmas present. Then, depending on the overall size of your shipment, it is loaded into large wooden crates or steel sea containers. The sea containers are loaded onto a container ship and sent to your destination port, where it is off-loaded and cleared through customs. We then deliver your shipment to your new residence, unwrap and set up the furniture, unpack your cartons and remove the debris. 32) Is there anything else that I should know / be aware of? Read our quote, contract and terms & conditions. Ensure that your packed boxes and big items are all properly marked with your name, destination, package number and destination address. Ensure that your household goods descriptive inventory has a corresponding entry for every package in your shipment and is signed and dated by you. 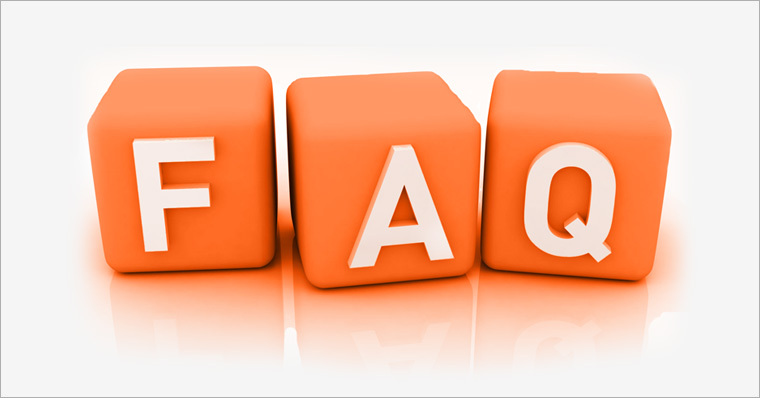 31) Will I be charged if want to see my LCL shipment in the shipping company or agent’s warehouse? Yes. LCL shipments are stacked in storage containers or packed in pallets for space utilization and storage in transit. It requires special equipment such as forklifts and manpower to make your items available for viewing. 30) Will I be charged for cancellation if I schedule and cancel pickup/delivery? Usually cancellation charges are applicable only if reasonable notice is not given before pickup as expenses are incurred to dispatch a crew with truck. You can read our terms & conditions to understand what constitutes reasonable / unreasonable notice and what the maximum / minimum charges are.